The Brandy box with 3 exquisite Brandies from Armenia, France and Spain. Bewitching little brew, that Brandy. It’s caught our fancy and we can’t help but sit back and admire everything this saucy little number brings to the table. See, while you’ve been walking past this unassuming spirit at the store or your local watering hole, we’ve been drinking it all in. But hey—we’re not the greedy sort. So we’re going to let you into to our hot little Brandy secret. The term generally refers to any kind of distilled spirit produced from fruit, but wine is the de-facto standard when it comes to making Brandy. Of course, there are many types of grapes, many techniques to use and many places to apply them. Basically, there’s a lot of variety at play here. And you know what they say: variety is the spice of life. First thing’s first: relax. Brandy isn’t a puzzle to be solved. It’s an adventure to be savored. Excellent Brandy is produced all over the world. Got your Brandy handy? Good. Time to swirl it around and broaden your horizons. Brandy is just as approachable as Rum, but polished like a Whisky. It can be bold and bright, subtle and warm, strong or soft. When it comes to regulations, Brandy is allowed a lot of diversity. And that can be a very good thing. 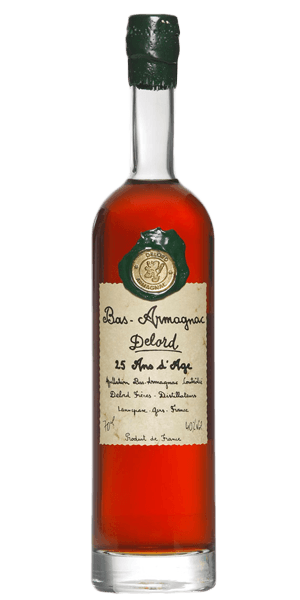 Armagnac is Cognac’s less famous, but more assertive older brother. Aside from being produced in a different terroir, it is also made from a wider selection of grape varieties, in different types of stills, and possesses a much more diverse flavor profile. The common denominator that binds all French Brandy together is that they must be produced in the region for which they’re named after. Not all great Brandy comes from France, though. Spain has an even longer tradition of Brandy production than its northern neighbor. Perhaps their most distinctive characteristic is that they are aged using the solera method. 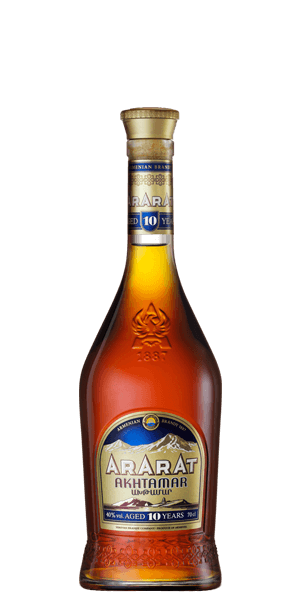 The Spaniards clearly know what they’re doing since our selected expression has been named world’s best Brandy in 2015. So, does Spain make the best Brandy in the world? Armenians would say, “nah.” Life can be hard for the people in the Caucasus country, but the economy is boosted by the ever increasing demand for the country’s Brandy, reputed to have been a favorite of Britain’s inspirational statesman Winston Churchill. He once claimed he had drunk enough Brandy to fill three railway carriages. His opinion is probably worth listening to. Point is, there’s a whole wide world of Brandy to explore if you keep an open mind. Listen, life’s short and the world is wide—taste all the flavors of the Brandy rainbow. 1. Basically, any fruit that can be fermented can be distilled and turned into Brandy. Nevertheless, the best Brandies are required to preserve the concentrated flavor of the used fruit. 3. Just like wine (and a few other things that come to mind…), Brandy gets better with age. Now, we’re about to throw some acronyms at you: VS, VSOP, and XO. In most regions, these are standardized terms that are used to estimate the age—but that’s not always the case when it comes to Brandy. 4. Most wine-based Brandies are double distilled and matured in oak barrels for a certain period of time. “Most” being the operative word, here. 5. The Spanish have been producing Brand since the Moors brought the idea of distillation to the Iberian Peninsula in the 8th century. Since religion prohibited the Moors from consuming alcohol, they first used Brandy for medicinal purposes. 6. We’re not sure how effective the medicine was in the middle ages, but modern research has shown that health benefits of brandy include its ability to reduce respiratory issues, boost heart health, increase the strength of the immune system and even slow signs of aging. 7. 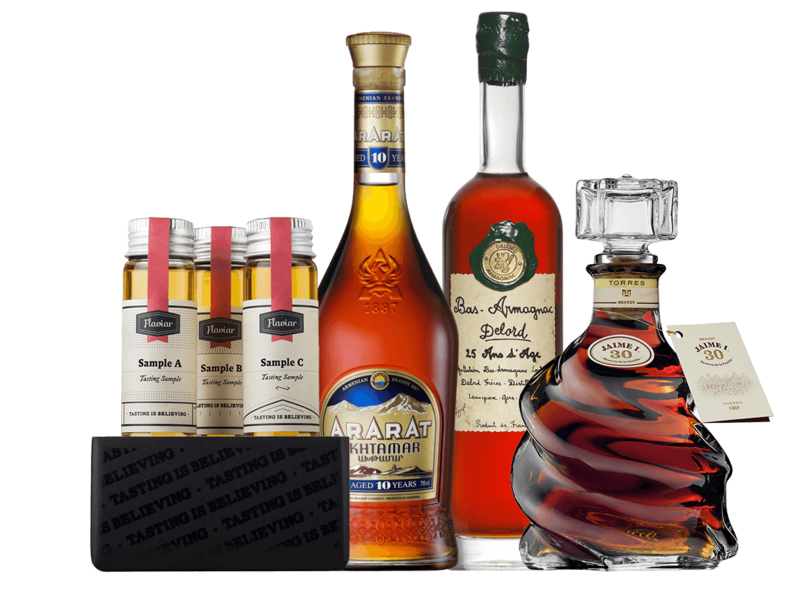 Even if Armagnac is the oldest type of Brandy in France dating back to the 15th century, it never achieved the same prominence as Cognac, in large fact due to its unfavorable location. 8. Some of the earliest thermometers actually contained Brandy. It was later replaced by mercury, due to the latter’s wider range of liquid-state temperature. 9. Did you know that Armenian Brandy won the right to be labeled Cognac after it won the Grand-Prix award at the Universal Expo of Paris in 1900? Despite the fact that calling Armenian Brandy Cognac is no longer legal according to the EU regulation, Armenians insist on calling their Brandy Cognac. Member Reviews and Ratings of Distilled Wine? Fine! Each of the selections are unique and from a different region of the world. The Arratat was decent, De Lord and Torres stood out the most with having a great flavor profile and pairing well with winding down after a nice meal with a book. The Torres was probably my favorite. Never truly sampled brandy, so therefore I really enjoyed this set! Great introduction to Brandy, with the Delord shining over the three. Excellent box! Underwhelming. The Ararat was decent for the price, but the Armagnac was wholly underwhelming for a 25 year. 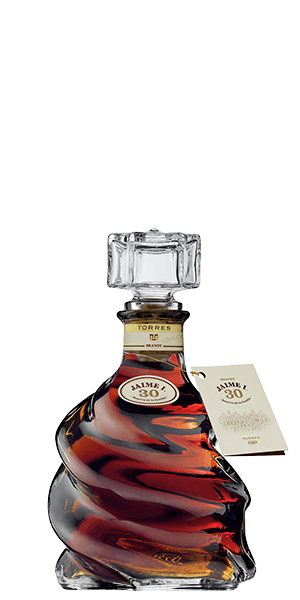 I didn't leave a review for the 30 year as I was coming up on a cold and my nose wasn't functioning, but it also seemed light and uncomplex for a 30 year old brandy. I really loved the variety. Great tour and a well matched 3 to compare to each other.